Advanced Basement Systems of Ontario is your local Supportworks contractor, providing services to Aylmer, Goderich, Kingsville, Ingersoll, Listowel, Hanover and areas nearby. We specialize in new construction foundation supports and foundation repairs of all types. 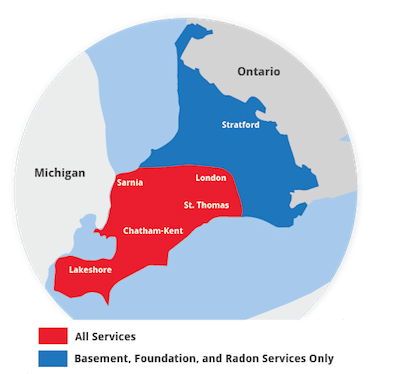 With this in mind, Advanced Basement Systems of Ontario operates with the resources of literally hundreds of years of combined experience!